Life in Poland – What is it like? As an American who has spent a good part of his life in Poland (I am a Polish citizen also) I have a unique perceptive on life in Poland. I can see this better than a native Pole in some ways as I have something to compare it with.The bottom line here is life in American is easy but life in Poland is beautiful. Despite the fact that Poles love to complain and be contradictory and argue that things are wrong, the reality I think most of them in their hearts know how beautiful of a country it is. The first thing you will notice about Poland is life is sweeter. You do not make as much money or have all the niceties of living in the US or UK but life has a quality all its own. It is like living in another century. If you have ever seen the movie ‘Kate and Leopold’, you have the idea. Life has a different feel to it that you can not describe. Yes, in the States we have more Playstation, but so what. What I mean is there are just as many things in Poland as in the USA to buy and consume, however, the culture here is people would rather spend their time in a park reading a book than a mall. People are much closer to their families and often live three generation in the same house. Unless you live in a city, every Polish person I know has a small piece of land and they grow something. The first thing people ask is what is it like in terms of the economy. What is the cost of living in Poland? Well Poland is a modern EU country that left communism a quarter of a century ago. If you have an entrepreneurial spirit you can make as much money as you want in Poland. Working at job is harder you need to have concrete skills. If you are an entrepreneur or a manager you will be richer than your counterparts in London or New York if you factor in the Polish standard of living and lifestyle. I know people will disagree with me on this, but human labor, from baby sitters to house cleaners, special tutors for your children, personal trainers and massage people and garners are very cheap. You can buy local organic vegetables that cost a lot in the USA. You can take vacations to places like Crimea or the Baltic for relatively little money. How can you say Poland is poor? If you are a worker you will be about 20% poor than in the USA. That is the reality because Poland had the war and communism.But not everything is about Złoty and dollars. Further, Poles get around the system a lot so what they report might not be the reality. I see a lot of big cars in Poland and nice houses. It will take until about 2025 until Poland is on par with the West in terms of worker. But in terms of managers and business owners, except for the extremes it is already there, actually higher as reported in the Economist magzine. I wrote an article on Why Polish wages are low. It is 100% better for love and marriage. If you are marriage in Poland you wife will stand by your side and be very loyal. She will not care about money and it would be considered gouache to focus on such things. Not every Polish girl is like this as there are new Poles who are as bad or worse than the US and will divorce you or not date you if you are not making money. But generally Polish dating is all about marriage and having a family. If you are not married it is a great place to find a spouse. Ask me if you have questions. It is the same as all over the world, except things move at a slower pace. People are more relaxed and easy-going. If you send someone and e-mail do not expect it to be returned right away. Even me, I am lazy about this but in the USA I would not do this. It depends if you live in the city or country in Poland. Polish farm house in anytown, Poland - the coutryside is amazing. In Poland I shop for food everyday. My wife cooks homemade meals from scratch everyday. Poles do not go out to eat too much as if you have a Polish wife cooking what is the point, the food will be of lower quality at a restaurant. Garden house in Krakow - at least I hope it is a garden house. Living in Poland is like living anywhere else in Europe. I think the Poles tend to be more connected to nature as manifest by the large percentage of people in Poland who have farms or gardens. Even in Krakow, there are a number of garden houses. I would say six months you stay inside because of winter. Three months are 50-50 and three months are ideal. Summer all business basically slow down to a snail’s pace. Try to get something done in the summer. You will notice the whole country is on vacation. Krakow, the Baltic coast Warsaw even is left for the tourists. People are not smiling as much in Poland, I think mostly because of the weather. It is a micro climate where moisture from the Atalanta meets cold weather from the north and it is mostly damp, cloudy and cool. I would say only one in five days are really sunny at best. I think generally Polish people are friendly. You always have more primitive people who are negative and angry about life, but in my experience people are very nice in Poland. If someone is upset at life they will be upset at the world. It is not you. While in America, I think people are more friendly, at least on a superficial level. It is more like it takes people time to trust you and you have to earn your respect. It is getting better but not the best. Basically if something breaks it is your problem, even if the EU grants you a two-year warranty. To get a return on a defective product you need to prove everything and they will still tell you no. But in the end if you argue you will get it, because that is the law. Do not yield to intimidation. The first answer will always be ‘no’. It is your problem. Why are you bothering me. You need to complain to the top. It is exactly like customer service. At the basic level it makes paperwork hard. People take it easy and do not know their job. However, at a higher level, the people in charge are very responsible and want to improve the system. I think Poland is still a socialist country weighted down by an army of bureaucrats. It is changing fast but not fast enough. Poland could be one of the richest countries in Europe, in seven years, if it eliminated the income tax. However, to do this it would have to modernized, computerize all aspects of government. It would have to privatize the social state. In return it would be a rich country for all. Demographically Poland is going from 40 million to 35 million very soon. People have few kids and many leave for the USA, UK and now Germany as the EU is one market. In some ways this is great, housing prices in Poland should continue to fall, but on the other hand the fat government will not be able to pay the bills and will tax the people or to p[ay for the fat bureaucrats pensions. I do not know what will happen. I think eventually Poland will invite immigrants from Ukraine and Asia and Turkey. If you want to get a Polish citizenship and you have Polish roots, you are welcome. Going on a decade of living here and I do not need a car. Does that say something. Every small town as a good bus or rail connection and every city has trams and buses. It is very easy to get around Europe without a car. I have never had a problem. Polish people complain about Polish roads but there is less traffic here. In Krakow you can get from one end of the city to another in 1/2 hour. Try doing that in Boston, maybe you can on a Sunday, but not Monday morning rush hour. People are not as into sports as in the USA. except for soccer every one is pretty much just walking for fitness. There are gyms of course, but people ride bikes and walk and look very thin, not as meaty as American guys for example, more intellectual. But Americans are very smart people, just more like the ancient Romans and the European like the ancient Greeks. People play chess a lot like in all Eastern European post communist countries. It is a classical education, focused on literature, languages, history and religious as well as science and math. No Political correctness added. More about know Polish literature and history and liberal arts. I like this ideal. The average Poles is much more aware of the world than most people in the west about geography and art and literature. No question, however, people in the West have a more realistic view of business and understanding of markets. Poeple in the USA understand a job is to make money and do a service. 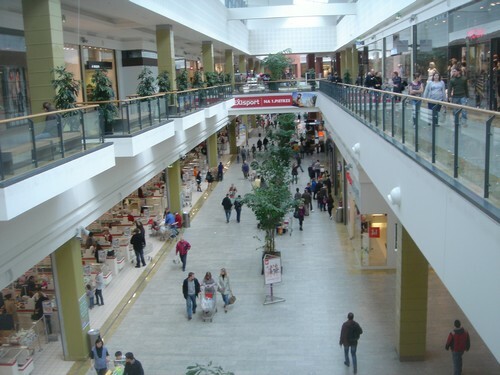 In Poland people granduate with Masters degrees and think it is below them to work in a shop. This is crazy, just because you have a degree means nothing. Polish students need to realize this. Do not be mislead that region is gone. Religious families have many children, not religious new Poles do not have kids. Do the math. New Poles might win out, however, I think no one can predict the future. Today, faith is very alive in Poland and the center of life for most. Family and faith is the center. Everyday life centers on faith and family in Eastern Europe. I love living in Poland and if you have any questions or are thinking of moving to Poland, just write. Enjoyed your examples of everyday life culture. I live in the US now, but do miss Poland. Lived in Germany(Mannhiem/Dresden) for a total of 5 years, with the most visited country being Poland. Wish I could live in Poland forever. Poland is great. I live in Florida now for various reason but I am not finished with Poland. My heart is truly there. What is a typical home like in Poland, what does it look like, and is the inside similar to an American home? Polish homes are build of stone – brick, concrete blocks these are typically use for home construction. They have more insulation as it is cold for a long time. In Polish mountains there is a lot of log houses made of wood. In old apartment buildings walls are at least 2-3 times thicker as in a typical American one which is also good for the acoustics (you don’t hear your neighbors as much) but is not a case in newer blocks of flats. The first room in a Polish house is a foyer and it prevents the building form cooling while entrance. Polish people talk about room numbers in total rather than bedrooms, which means you won’t hear about 2 bedroom but 3 room house. Modern polish houses have all the conveniences of the American ones but Poles tent to build smaller homes as the heating costs are high. Single family one is usually about 1650 sq feet (150 meters). Depends where you live cost of a house or an apartment varies. In big cities like Krakow, Warsaw, Wroclaw apartments are expensive – 550 sq feet in nice standard (updated kitchen and bathroom, wooden floors) is about 100.000 dollars so it isn’t cheap. After joining the EU Polish real estate market was flying high and for an average person whit a regular job it’s expensive to buy their won property. In Poland it’s often a case that the family (parents) will help financially with a purchase. Otherwise you need to have at least two jobs to start thinking of your own place. Polish houses inside are nice and sturdy but depending how old the building is you won’t rather see an open floor plan. Living room is often multifunctional – it a place for entertaining, family room, office or/and guest room or a bedroom at night. Polish people are very efficient in using their house space and even when the place is small they make it nice. What is great about Poland is the fact that even with a small space you will be always welcome to stay during your visit where in America you are more likely to sleep in a hotel. I am a Registered Practical Nurse in Canada. I was wondering if I was to move to Poland, what type of prospects are there in being a nurse. Is it worth the move to Poland? Ps: I love the country of Poland because I was born there. I moved to Canada in my early childhood and I miss Poland very much as it brings lots of great memories. Finding a job is not an issue if you have the right certifications but even if not you could get some job. If you are a Polish citizen, it would be not problem. I grew up in Warsaw, Poland and remember life there very fondly, later we moved to US suburban VA so let’s compare. A lot of your comments are spot on! We never needed a car. The winter not so bad we never had a snow day off school just for weather. No Thanksgiving and dont remember other than winter and summer break any holiday days off school. I dont remember one muggy, humid summer either, just warm. Food was great as also not so laden with chemicals and hormones, you got fresh milk and fresh bread everyday and there were smaller food stores and bazaars along with the bigger markets. I find Polish people more authentic without the superficial ,,how are you,, but for some people that would seem more friendly. We visited grandparents a lot and it wasn’t till in US I discovered nursing homes. We did not go much to eat out even thou my parents could afford it, but I had extra curricular and ,,getting cultured,, activities in the Palac Kultury. 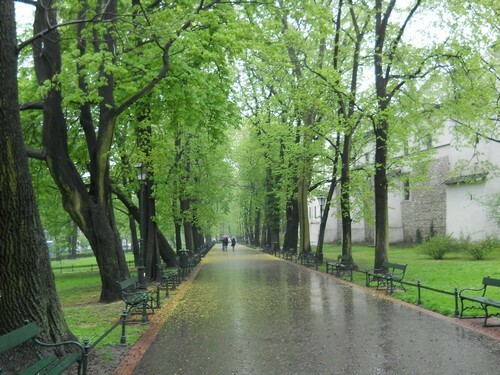 We would go to plays, balet, pool,movies were just around the corner… and Sunday concerts in Lazienki Park. A lot less fat people cause Poles generally eat less and walk a lot more and yes talk more about politics and raising kids. Catholic Church was part of your life, I now understand there are less ethnic Poles and more foreigners and more people speak English. Milk bars may be better to eat than fancier resturanants, someone even said a few years ago their best food was at a gas station. I was told if you have a professional job in Poland you would make less in dollars than here but the question is how much can you buy for that. So if I was moving there I would check out cost of living and salaries. I am a teacher here in Wisconsin. I would like to move to Poland. 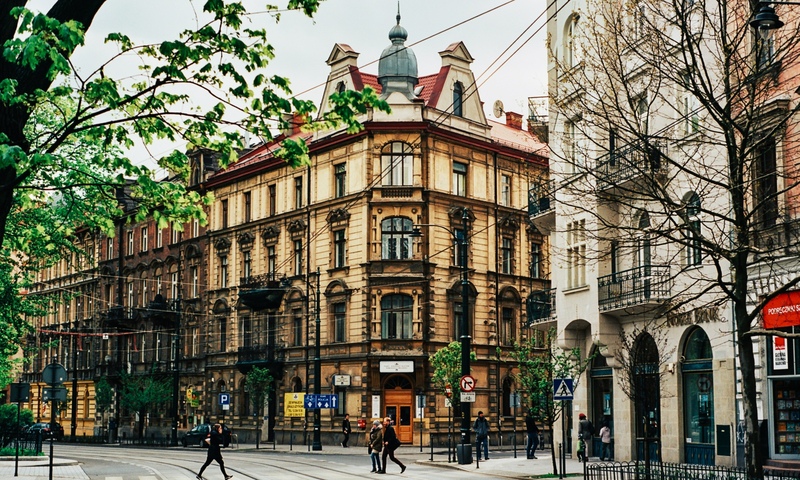 Would $1,000 a month be enough to live in a town in Poland? Thank you. Yes that is about 4,000 PLN. That is about the same as having $4,000 dollars a month in the USA, if and only if you know how to live cheap. I left Poland when I was 9, and now I live in Canada. I do however stay in touch and follow the news in Poland, and I talk to new comers (to North America) about how things are going. I think you nailed your report 100% . You fergot to mention how beuatiful the women there are. Again, well done. Our family is considering moving to Poland. I am in the telecommunications business, how is the telecomunications business doing in Poland? Which aspect of the business, it is very competitive and as developed as in the USA, somethings I think more, when you are talking mobile devices. I am going to be living in Poland next year on foreign exchange, can you give me any advice on what to do/not to do while staying? Enjoy yourself, get a monthly tram pass, good food in the old markets but also Alma, look on Gumtree or post there to teach English for extra cash, travel around Poland and Ukraine on cheap local trains, see Crimea and the Baltic and the Tatras, go to the thermal mountain Spas in Slovakia, and Warsaw and Krakow, learn a little Polish, go to the milk bars to eat and experience real Polish cooking in the countryside. Go to the Student Masses on Sunday night, interact with all kinds of people and establish friendships, hand out the American expat used bookstores to take a break from Poland, make more Polish friends and speak Polish not English. Try to get a visa for Poland to stay longer and do what I did, make a short trip a lifetime adventure. It was very refreshing to read your comments and strait forward answers.Im from Czernichow and for last 35 years live in Denver where I run my own construction business,but I miss Poland,a speciali country side and slower life style so Im selling my business and moving back to my family farm,if you are still in Krakow in September 2013 it would be my pleasure to meetup with you and exchange life experiences. PS,Have you taken Prom across Wisla,or visited Czernichow Technikum Rolnicze? If I am in Krakow we will have to connect. I have not visited what you mention, however, now I am curious. Poland is a special place and the quality of life is high because the culture, history, people. If I had millions, which I do not. I think I would live the life of both countries. I am trying to do that a little bit now, but on my pittance I think I will have to work a bit more smarter. Beautiful photos of the countryside. Keep an eye on those metros. Do teachers, specifically language teachers earn a lot compared to others in Poland and how well-off would you be as a language teacher in Poland? You live an upper middle class life. But if you market yourself, business English and workshops and private lessons you will make over 10k pln a month. Most people do not make close to that. But you need to know how to market yourself or you will only make 2k a month. Thanks for your wonderful blog and gave me a lot of information on Poland. I am Orthodox, so wanted to know if there are functional Orthodox churches in Warsaw. Also are there any English mass I’m Catholic churches in Warsaw or do most of them tend to have only Polish mass. Is there any restrictions for renting houses to foreigners or Asians in Warsaw ? Alexander Nevsky Catherdral for example are Orthodox in Warsaw. How did an Indian people Orthodox? There are not restrictions on foreigner with visa and Poland is a peaceful country. If there is any objection to foreigners it would be towards Muslims for security reasons. This is why Poles would not mind Christian refuges from Ukraine but many do not want Muslim men in the 20s who are not screened properly and therefore, who are potential security threats. Life in Poland is beautiful and I hope you enjoy it. That really helps .yes there is a small community of Syrian Orthodox community in India. Not many are aware of .yes there is no restrictions for attending church or sacraments of Orthodox and Catholic Church coz theologically both r similar.whenever I m out of my hometown I usually go to Catholic Church only. As far as I know only Catholics in the state of sanctifying grace can receive communion at a Catholic Mass although I am only a layperson and not a theologian. The Orthodox churches went into schism in 1054 so they are outside of the Catholic Church. If one is orthodox then I would suggest that they convert to the Catholic Church for the sake of their eternal salvation and attend a traditional Catholic church. As a 70 year old 3rd generation Polish-American and traditional Roman Catholic I came across your website as I thought it would be nice to live in a truly Catholic country like Poland (1000 years of Catholicism) unlike American which is not totally Catholic except when the Spanish were here in Florida and the Southwest where I now live in Phoenix, AZ. The Protestants managed to get their hands on those territories in the 1840s. I call myself traditional as I attend the traditional Latin mass at the SSPX or Society of St. Pius X Catholic church here in Phoenix and I know that the Society has a priory in Warsaw with a daily Latin Mass and has other chapels (9) across Poland with weekly or monthly Masses. You can find them at piusx.org.pl. Of course, modernists or liberal Catholics will say the the SSPX is in schism itself but I don’t believe that. This appears to be the time of the great apostasy in the world which started in 1962 or earlier with Vatican II. Anyway I probably won’t go to live in Poland as my wife is Spanish-American and speaks Spanish and would rather want to live in Spain. Private insurance might be too expensive also and I am not sure if my grandparents would qualify me for a visa. My grandmother came to the US in 1909. I don’t speak Polish as my mother and grandmother were fluent in Polish but they didn’t teach it to my brother and so I would have a harder time learning Polish than Spanish. The US has had abortion since 1973 and I hope that Poland outlaws it completely as I see that they are considering a vote. It is shameful for a Catholic country or any country to legalize abortion. But I would prefer to live in Poland than the US although it would be a sacrifice as here in Phoenix the weather is always sunny (but very hot in summer – but nice in winter) as opposed to Warsaw. Warsaw is more like Cleveland, OH where I was born and grew up than Phoenix and Cleveland was cold in the winter. There are Orthodox churches in all big cities. “You can take Pole out of Poland, but you cannot take Poland out of the Pole”. We are Polish, both medical doctors, left Poland to live in the UK 9 yrs ago. Although the standard of life is better in the UK, we moving back home, as we miss this beautiful life moments and lifestyle, that you cannot buy for any money, as perfectly descibed by the author. Yes people need to understand the difference between nominal income and real income. Beyond the economic definition of the word there are intangible factors that go into it like a hyper consumptive life does not feel as authentic. Places like London and NYC might seem like a dream for many until you live there. Living in both worlds I can attest to the fact that Poland is a beautiful place to live. Is this lame? Do they have Hershey’s chocolates there? I don’t want to give them something that they can get better of in Poland. Good question. It depends on the person. I think quality over quantity. A bag of something from Walmart for me is the worst gift. Something like premium Hersheys or unique like you mentioned or like even going to ShutterFly and making a photo album of the USA is much better and personalized. Cinnamon candy is probably the riskiest option, because some people may find the taste too extreme. But again, it’s hard to predict someone’s likes and dislikes. This is not a good country. It’s a place where you can survive, but not live. The aim of officials is to make you weak, detail your life, and make you dependent on the ‘grace’ of them. This is not complaining, Poland ruined life of my mother, my sister, my friends, I’m the first in the family who has ‘some luck’, because I’m good in IT and I’ve met good people in my life. This is not a good place, I regret of being a Pole, I’ve born in a wrong place. Real talent and creativity can thrive virtually anywhere. Poland is a modern EU country. A lot of young complain not because of Poland but because they have unrealistic expectations about life. It takes a lifetime of hard work to accumulate capital and achieve anything if your lucky anywhere you live in the world. I hear students who are in their 20s expecting to be managers just because they have a University degree. Everyone has to pay their dues in life and work their way up with nights and weekends and little money just like I did in the USA. I think it’s becoming universal that young people are expecting things to simply be easy for them no matter where they are. Some worse than others. Poland is a great country. I am so sorry you feel otherwise . Mark, I am uncomfortable with some subjects you touched on in your opinion peace. The first being that you can live a good life in Poland if you have money, or a good income. Is this supposed to be unusual? I believe that holds true in every country. Yes, even here in the USA. Secondly, your comments on how Poland can become a rich economy sounds an awful lot like the failed policies of conservatives in this country. I do not think by your relatively short amount of time living in Poland, you can claim to be a very objective observer. Thank you for the descriptions of the more pastoral view of that beautiful country. I loved a good part of my life in Poland, and I can tell you the homeless population is greater in the USA. I live in Florida now and I think there are more people living in trailers than homes. Again, have you really seen the USA and how hard people have to work to achieve? A hard working smart person will do well in either country. I mean I dare you to live in a town like Palatka, Florida. The town is not that bad but Polish people would be shocked. No one owes you a living or a good standard of life, you have to hack it out of the wilderness or economic jungle with your own hands and hard work. The things you say about living in UK are totally untrue. You mention homes with gardens. Of course we have gardens and lovely homes. Our pay is good which allows us to buy nice things.our crime is maybe dependent on where you live. No different to anywhere in the world including Poland. I personally did not like Poland but that’s my opinion. Poland is not as advanced as the rest of the world and this is why you see it as a sweet country. This was so helpful. I’m currently considering a graduate school in Poland, but had many inquiries about the country. Thank you for sharing your experience. I’m more exited and reassured about it now. I have been considering moving to Poland at the beginning of May and found this article incredibly helpful. Im currently iving in Los Angeles and would love to make the switch to a cooler climate and simpler lifestyle. Just curious- how is the safety for young women in Poland (or Europe in general since I’ve never been)? Also, is eating vegetarian difficult? Also, is it fairly cheap to take the train to visit different countries? Thank you! Poland is safe, not a worry, US has a higher crime rate. Being a vegetarian in Poland is not an issue either. You can shop at upscale supermarkets or even local restaurants socializes in vegetarian menus. Im Mariano from Buenos Aires, Argentina and moving to Wroclaw Poland in april 2015 to live and work as system engineer. I have Polish roots and aswell speak the language. So happy to start this new adventure. If someone is planning move to Poland also to Wroclaw can connact me. I see that You are moving to Poland, Wroclaw. Can You provide me the company name where You should work. I am asking because I have an offer, to. You can contact me on skype, my name is mashan_perunovic. Soy un Argentino joven quien vive en Polonia desde el ańo 1998. Estudiaba en Cracovia y tengo muchos amigos en Wroclaw. Si necesitas alguna ayuda o solo quieres hablar un poco en espańol dame una respuesta. Te deseo un prospero viaje y mucha suerte aqui en Polonia. I have really appreciated this article. Would it be possible to ask some personal questions privately? Thanks for sharing these different experiences. Yes simply write me on the from the email on my contact page. I agree that the country of Poland looks beautiful, however, so are many other countries in the world. The Polish woman that I have known have focused on money alot. I do not know what you are saying when you state that a Polish woman will not do this? Also,it seems very narrow minded to state, why go to to a restaurant when your Polish wife can cook better. I have known two young Polish girls who have visited with me and they are not focusing on being wonderful cooks for their, if ever husband to be. I believe that the younger generation of Polish women are different than the past as with many other countries. I think your description of the Polish way of life was spot on. I am Polish and came to the U.S. when I was 9 to escape communism. I go back to visit my family every two years and have traveled extensively across Europe. Someone mentioned that the new generation of Polish women don’t like to cook. I beg to differ as Polish people eat and entertain more at home then we do here in the States. For us here going out to dinner is a normal part of life, not necessarily a treat or a special occasion. With Communism, there weren’t a lot of restaurants back then and hardly anyone went out. Now people are certainly doing better but the culture of entertaining at home has remained very strong. It would be offensive to my 20 something year old cousins if I wanted to go out to a restaurant as opposed having them cook and open their kitchen and living room. Polish people love entertaining and there is something very beautiful and intimate at being in someone’s home and sitting around the table for hours chatting and letting the evening linger into the night. You get deeper connections that way. The sad thing about women who do not cook in the USA is they do not know they are swindling themselves out of their own life pleasure. I like to eat and I do not want to waste a meal on a non organic microwaved dinner and in a year wonder where all the weight came from. If you are in Poland or America and eat organic food, not processes and not in restaurants you will not pack on the pounds like others. There is also a pleasure in cooking, and sitting at the take at home and eating. I am so lucky that my wife believes the same things. Non-home cooked meals are something to be endured not enjoyed. Today’s generation of young adults do not want to be at home cooking home made meals. They need a good education and a good job after. Would this be possible in Poland I think not. Its to far behind times. Its like the rest of the world as moved on but Poland has not. I am not saying its a awful country but there is far better places to live. UK being one of them. I would rather live in Poland any day than the UK. The UK is overrun by people from all over the world who do not appreciate the culture and history of Europe. The UK has crime and drug problems and is decadent in terms of marriage and love. In Poland, you have basically a sweet life with all the modern conveniences without the hype and hysteria and decedent morals of Western Europe. Most people I know have a garden and grow their own food and cook it, go to Church, get married and fall in love. As long as you have high speed web access how is life different almost anywhere in the world besides the people around you? Cooking is a fashionable hobby among many young Poles (both men and women) but it doesn’t mean that every Polish woman is willing to cook every day at home and never prefers to eat out. Almost all Polish women work full time so everyday cooking is not a reality of the most of the families. Microwaves are popular and so the packed meals. The difference is that prepared meals in Poland often means frozen veggies and meat with spices to which you add rice or potato and cook or defrost on a regular pan – it’s much healthier that a frozen pizza from the microwave. There is also a plenty people who prepare huge amounts of food on weekends to refrigerate or froze them for eating later. And impressing a husband-to-be by cooking sounds silly. My parents were Polish immigrants to the USA. I have Polish citizenship and have lived there on three occasions. This sexist statement about Polish wife cooking would irk me too if I were a young woman (I’m in my 50s). All my Polish relatives cooked amazingly well, delicious food, but the young women I saw in Poland were savvy, intelligent young women, working to make a good life for themselves. Maybe some of them can cook well, but it’s not their primary focus. What a statement. It’s like saying don’t worry ladies, about getting a job or contributing to the family life, your husband will make all the money, I mean isn’t that what’s he supposed to do? The surest way to a man’s heart is thought the kitchen, if you want to make a statement politically about repression do it. But my wife like all the good wives I know, love to cook. Maybe it is a coincidence. The primary focus of any family is to feed the family and teach them morals. Why is career and serving your boss better? My husband may be posted to work in Poland, is this a great place to bring up young children for a few years? My eldest has some asthma brought on by cold weather also, would this be something to be concerned about? What’s the healthcare like? It all looks pretty. Life quality is high if you have an income in Poland. I recommend shopping at Alma which is almost like a Wholefoods market in Poland. It is a wonderful place to grow up. There is less crime then the West and the kids are gentle as I think the Christian nature of the country still is present. It is like life in the UK fifty years ago in that sense. This is my opinion but that is the way I see it. There is so much to do and see and experience in Poland from a nature stand point, they will never run out of things to do, I also recommend something like Tatralandia in nearby Slovakia for a weekend away. Asthma, I am not a doctor so I am not recommending anything, but my daughter who is allergic takes 1000mg of quercetin a day. We open the capsule and mix it with honey and spoon feed it to her. There are many other things that help I am sure. Remember Amazon and eBay delivers to Poland no problem, I use to buy things from the UK all the time, so you will feel no lack of homegrown consumption goods. And everything that the UK or US has Poland has the equivalent if you know where to find it. Also consider a good indoor air filter. We use the Airfree P1000. I did a lot of research and this is one of the better ones, as you do not want an ionizer which has negative side effects. We also would have a scarf like mouth protection when it got real cold so the air inflow would be warmer before it hit out lungs. Besides that Poland is a wonderful place and nothing to worry about in terms of life. Most things in life are a matter of getting use to it or taking the attitude that life is an adventure. Hi, we are in the very beginning process of adopting a little boy with down syndrome from Poland. Do you know what orphanages are like in Poland and what the general attitude is toward those with special needs? Thank you! My wife volunteered at an orphanage and they are usually run well by nuns or the state, nothing bad to report, I have ever heard of as this is a family/child oriented society. You are doing a very great thing. I am working on a novel and would like to know did people living in Poland in the 1930’s have the opportunity to learn English? Would the language be taught in schools? Would families have hired private tutors? If anyone has relatives who lived in Poland or Lithuania during the pre-war time, I’d appreciate your info. Yes people did learn English in Poland in the 1930s for various reasons, from relatives in the USA to commerce and general education. I do not personally have statics as that would have to be researched. English wasn’t taught at the most of the schools at that time. People focused on French, Latin, German. Russian was popular in the east of the country. Only the most expensive private schools taught English. Although, the children attending such schools usually had private tutors teaching them French, English and often German at home. Nice blog and appreciate your attitude towards life – inspiring one. By the way, I am from India and will be moving with family of wife and 2.5 years daughter and joining IT company in Warsaw. Which area I should prefer for stay? Someone suggested to find home in apartments rather than independent houses as apartment has better security? Can I consider Poland safe for my family? Can you share list of good international schools sites and fees? What will be typical monthly cost of food, living and school fees? My daughter is 2.5 years old – can she join playgroup – kind of kinder garden schools? Poland is safe and Indians have a good reputation around the world in terms of being peaceful people. In fact the more Indian you look the better as Arabs might not be perceived the same way in light of the recent migration. I think you will be fine. Poland is very safe. You do not have to worry. I can not image and scenario you would be in any trouble. Cost of living can be researched here at numbeo.com. I recommend being close to your work. If you are anywhere near your work which is the business district not only will your commute be short but it is more cosmopolitan and more things to do. I could name specificity areas in Warsaw, but my recommendation is live near work so you can even go home for lunch and be with your family. Schools there are a score of International schools there. Again that will depend where you work. Sorry for late response from my side. Thanks a bundle for your response as it helps people. I will be reaching warsaw in Feb this year 🙂 finally. I heard from colleague that Ursynow is nice area and close to office as well. My office will be in Polecski business park. I am planning to find house in Ursynow – 30 square meter should be fine for me,wife and 2.8 years old daughter. Can you suggest some guide on this area in respect to house rent,schools and transport connectivity and shopping stores for day to day things and shopping malls, any link? Also, wanted to know can I get balcony in houses as we have in india? My daughter should join Nursery or playschool(she will be around 3 years when she comes). How about schools in Ursynow and can I consider government school for her? Also if you can suggest polish language classes in near by , will be added advantage for my family. Its really a great article and half of my queries has been cleared. This side Amit from India and I got an offer for Warsaw. * 8 Hours x 6 Days job, Accommodation will be provided within 10 to 15 kms from job location. In India I was having a experience of 6 years in Construction supervision and last salary drawn 950 Euro per month with No extra perks. After I land in Poland and completed my initial set up, 6 months later I ll immigrate my family. We prefer to max spent/save on Son’s future rather than our luxury. So my question is how much can I expect/target to save at end of month. 3) I am going to immigrated from a atmosphere where we used to live in average 35-40 Degree centigrade and 9 months very hot climate the rest 3 months are not lower than 18 degree C.
Your valuable feedback is very important to me. The cost issues is addressed in my other posts, but basically if you buy from the market unprocessed food, it is very cheap. biedronka.pl/pl/tak-tylko/warszawa broswe through this site as it give you good in sites into real prices. I prefer Alma but Biedronka is cheaper. The Weather, is the main factor. You can adjust to anything. Boston is full of Indian people. I am a Polish person living in hot Florida. Basically you need to dress warm and set your expectation that life is a bit different in Northern Countries. Do things like getting Vitamin D why walks in the park and do not be afraid to travel around Europe to compensate for the nice weather. Play chess indoors or join a Yoga Studio. This is what I do up north. Take a trip to Tatralandia But besides that, my recommendation is many happy people live in the north. Just find indoor activities to occupy your time. I am an Australian born in 1954. Poland to me was just ‘a beautiful place with a very sad history during the war’. Being a nurse I made friends with a smattering of older Polish people who have been patients or aged care residents in a hospital where I was working. Their stories from the war era and the concentration camps made me weep. The stories I listened to about their escape experiences told of so much courage. But now I have recently read a little of the History of Poland. The book is simply titled: ‘POLAND’ written by James A Michener 1983. It has been a bestseller and is a blend of Fact and Fiction. I am now fascinated with Poland. Thank you Mark for interesting facts about living Poland today. I would love to visit this amazing country. My husband was born in Poland and still has family there so we visit regularly. Your article expressed my impression of Poland and the Polish people perfectly. One thing you didn’t mention – there is nothing to compare with a Polish wedding celebration. We will be going to Poland for Christmas this year (our first time going in the winter) and would like to take gifts for the children, ages 1 to 11. Do you know if there are things from the US that Polish children might wish for? When we ask them they always say that we shouldn’t bring them gifts, but we know the kids enjoy them. Thanks again for an insightful article. I would be in Warsaw for summer vacation. I am a little bit nervous about how I should behave. If I should say Hi! to anyone in the street. for example, How is night life in Poland specially n Warsaw? I am a Portuguese girl and my boyfriend and I have a proposal to work in Poland. I admit, I am very afraid of not adapt to climate and polish culture. My sister tried to work and live in Germany and she can not. Can you give me some advice in order to prepare myself for this new journey in my life. I know that we and polish have a different culture and a way of living. But that’s not what must scary me. I am afraid that the hard winter depress. I am moving in one or two months. Do you think that I have time to adapt? Thank you for the article. You will love Poland, I hope. If you are going in the spring you will not have cold weather for another six months. The spring is lovely. The food is more natural than in the West. The culture is similar to Portugal as it is Roman Catholic. In every new experience you will have challenges but Poland is a developed, educated country with a rich history. It will be different but everything in life is a learning experience. Travel is the best school there is. For the cold all you have to do is buy some good clothes, I recommend mountain climbing type stylish tight shirts and pants. You know the type that retain heat and cool you if it is warm, with those new materials. That alone will mitigate much of the cold. You do not need to buy a lot of cheap clothes just a few good ones. Look at the ones on Amazon for mountain wear. They ship to Poland of course. If you lack sunlight, take vitamin D or better yet Cod liver oil. Go to Saunas and the Slovakian mountains to the hot natural spas. 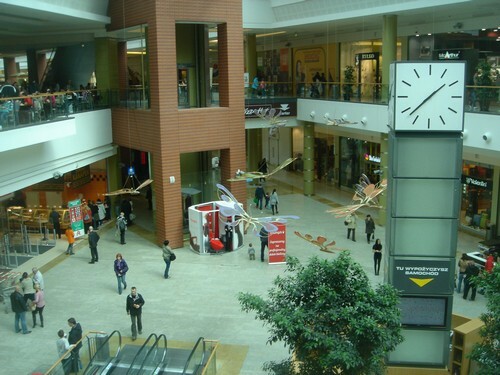 There is a lot to do in the malls and indoor activities. Let me know if you have any questions about Poland or the cold. What are some educational issues that Poland has today? The Poles have a literacy rate of 99% so it was hard to find the issues. I need it for a school project addressing school and educational issues around the world. Poland has an excellent classical education system with a rounded liberal arts education. It is hard to find issue with Polish education when compared to the USA for example. The US public schools are a zoo, and a breading ground for poor choices like drugs. In contrast Polish education includes religion and has a cross in every room. If there was an argument against the method, it would be, too strict and a focus on memorization. Whereas in the US there is a large emphasis on building self confidence, Poland needs more of that. What about if students are not Christians? My comment is very short: The life in Poland would be really nice if catholic church were delegalized. That what has been making life in Poland so miserable: catholic church, which has been controlling all aspects of life for 1050 years. Why so Poland would be like the West where everyone is a player and gets divorced and chases money to no end and takes drugs and commits random acts of violence? I think I prefer the Polish way of freedom and capitalism tempered by a moral understanding of the world. I was born in Poland and raised Catholic, than we moved here. I never thought CC ruins the country,thou I am currently not practicing myself…what makes u think the Church ruins the country? It has rules like any other religion whatever a person is Muslim, Jewish, Christian…I find for most people that have issues it’s around dating and birth control and especially young people, but that doesn’t make the whole institution bad. Why? Specifically why? I am Catholic and the values of love and family and children and life are better than the values of career and consumption. I am moving to Poland for my Masters. I am afraid whether I need to learn Polish language to work part time? I hope they understand English and communicate as well in English. You need to speak English and some Polish to get a job unless you are an English teacher. If Poland is so great and fantastic. Why do the polish that live in the UK and its a lot say the UK is the best!!! Why do they move to the UK? We are humans, donts care where, we are all the same, so the world is for all of us; so doesnt worry where the people lives, just cares the culture, and the polish one is amazing, just little different that latinos or british are. The thing that struck me about Poland is that is more modern than the UK or US in many or most ways. For example, in the US I needed to do dental work for my family and it would have cost 5,000 dollars. I flew to Poland and it cost 500 and I believe it was better than what I would have got in the USA. The society is more peaceful and less violent in Poland with less divorce and people are more respectful to the old, instead of putting them in homes in the west. Money is a little less in an absolute statistical average sense but what people do with the money. In Poland people spend more on cultural things in the UK it is often the pub and dinning. I could go on buy culturally Poland I felt was significantly richer and I have lived in both places. I have heard there are only few jobs available in Poland and its hard to get. Can you please tell something how the Information Technology field in Poland or what is the best city to live in poland for IT guy. I was born in Poland,left the country as a young girl. I have leaved in France and the UK for over twenty years, and then returned. Highly skilled foreign people will find that, the best places to leave and work here: are large cities like Warsaw, Krakow or Szczecin. There are many minorities in larger cities, so it is easy to make a connection with your own nationals- use internet to search for info. Poland is a beautiful country and in my (and my British husband’s) opinion far better then the UK to raise young family. I would love to see Poland I am a devoted fan of Polish fighter Joanna Jedrzejczyk. When I was a boy the Germans just destroyed everybody and everything. Poland bled and it was so sad. I am old now and wonder if the weather would hurt me? I also wonder how expensive it would be to visit for a month. The weather is fine most of the year. I would say January and February are cold and most people stay inside or go to the mall, besides that it is mostly cloudy and moderate. I would go despite your age as it is a wonderful place. Thanks for this article. I might be moving to Warsaw soon for my husbands work. One of the worries I have is finding things to do for my 2 year old. What type of things is there to do during winter for a toddler? Children museums, English libraries, indoor pools? We did go to all of the above. Museums and libraries and shopping malls almost everyday, played chess inside. There are so many things to do in Poland in the winter. Just like in the USA if not more. Life does not stop, in fact because of the winter kids use their brains more in abstract ways. I live in Florida now and there is nothing to it. You go outside all year around. In Poland it forces you to use your brain to be happy, so people seem more intellectual. Further the winter is not bad, you can take train trips to various towns and the weather in the world is so different now, often you get these long reprieves from the cold. Thanks for the sharing your experiences in such detail. I am an Indian single woman in my late thirties. I have lived in Bombay, New York, Pune and Bangalore. While my experience living in Bombay, Bangalore and New York were very pleasant, experience in Pune – especially as a single woman was extremely traumatic. In Pune, not only did I find it challenging to rent an apt in a decent neighborhood (had to pay a very high premium), I was also often turned away from stores (electronic/hardware/furniture) or social gatherings because I was not accompanied by a man. I have an opportunity to move to Warsaw for work for 2-5 years. Could you please let me know if it would be safe and if the Warsaw society will be acceptable of a single woman? I am skeptical of the cold weather and sunshine, since I haven’t been too fond of Bangalore weather (which is cold and without sun most of the year). Poland is safe for women. No question, most of my friends walk around in the city at night or at the very least take a tram.trolley or bus or now Uber. You do not have to worry. Hi, I have a friend in India who’s recently getting married and her fiancée says after they get married they’re going to move permanently to Poland. Is it a good idea to do so? My friend thinks moving to California would be a better idea, not just because I live there but also because of various reasons like climate, what to do there, places to go to, and other things. Are the Polish people friendly to newcomers? Do they like to make friends and include them? Because my friend is going to stay home most of the time, since she probably won’t work after marriage, so she needs a good community where she will make some friends so that she doesn’t get lonely. Are the people in Poland like I described? Can you please suggest if she and her fiancée should move to Poland or some other place like California? I would really appreciate if someone gave me a suggestion quickly since they’re thinking about moving next month. Thanks a lot for your time and help in this. This is such a question, I mean California is the opposite of Poland, at least Southern CA. I think it is about where they would feel better culturally. Poland is romantic, snowy, dreamy and conservative. CA are mostly new families and lives exploring life on a superficial but also alternative level. You have to think about if they would be happier being in a cold but romantic place or a hot but post-modern society. Your friend won’t be happy in Poland if she doesn’t want to work professionally. It is a social norm for Polish women to work full-time so the most probably she won’t able to meet other staying-at-home friends. It can lead to a great isolation. However, living in Poland has a lot of advantages comparing to the US. She will get her residence permit (which serves also as an unlimited working permit) quickly and easily. The public education is good and offers a full-time care free of charge. Even private schools are affordable. Pre-school education is cheap, good and widely available. Not to mention the costs of healthcare. How is the overall whether in Wroclaw. Is it harsh in winters We have a project in Wroclaw probably next month so considering moving there How long do Polish winters last? Is it like Siberian ones or similar to the ones in UK? Polish Winters are cold but moderate. Nothing like Siberia but colder than the UK, maybe Northern Scotland. More like Boston in the USA. The difference is Wroclow does not get these big winters storms like the US, rather it is cloudy almost everyday in the winter and might flurry everyday. It is the end of the Jet stream so it gets this moist air mixing with cooler air. Rarely does it get the Siberian express winds from the East but rather the moderated European winds from the West. How is the family structure in Poland like? Better than the West as the family is still in tact because of the Roman Catholic religion. I am of Polish decent but lived my life in the USA. I was born in Evanston, Illinois a suburb of Chicago. If anyone has a chance to live in Poland they are very lucky and should do it. I found that the more places you could live you really become much more educated. Live can be good in the USA as my wife and I are retired and the USA can help you. We survive off our Social Security and have a very nice home in Arizona. Citrus fruits grow all over Arizona and are free. I think groceries are very reasonable and so are beer and wines. Our kids live in San Diego (very expensive) but hang out in the ocean and use float boards and our other daughter lives in Colorado (cold compared to Arizona) If I were single I would look for a woman who lives in Poland and live there and in Arizona if she were willing to do both. It gets hot in Arizona and sometimes in the 100’s I would tell her lets get a cheap RV and hang out in California and I miss my Ma’s kapoosta. Give me the recipe. She used cabbage and pork and beans. I always admired the Country, what it has endured throughout the years and, in particular, its people. I visited the sub-Carpatian region twice and I only have good things to say. Being born in a Tropical country and living in Florida for many years, I don’t believe I would bear the cold weather anymore. I define Poland as one corner of the world where the family structure and faith are intact. And both values are important to me. A Nation without principles is a Notion. That is a Polish name you see but it is not common, it is a form of ‘to wake’. You have written a wonderful write up here. I was so excited to hear all of you remarks about your wonderful country. My grandmothers parents are from Poland. I have always dreamed of going there my self. The closes I got was in 1980 when I was in the US Army in 1980 in Germany and Poland was still under Russia’s rule. I was nervous about going then. How ever now every thing has changed for the better. I am very excited to visit and live in Poland. I am 55. Do you think it would be hard for me to find a wonderful lady to marry at my age? You can fall in love at any age, what does age matter. Poland is a Catholic country so just be aware that this means something to people. Hi I want to love to Poland with my Polish boyfriend. But I do not speak Polish is there a problem with jobs? You can teach English or work in a corporation. My wife is from Poland and would like to move back. We live in the States now, and I teach theology and philosophy at a Catholic high school. Do you have any insights on what a guy like me would be able to do in Poland? It seems like I would not be able to continue what I am doing now. You could do a lot from teaching English or what you do now. Remember English is the language of business. People I know that live in Poland do everything you can imagine from farming to business, but usually start with teaching, which is a nice middle class income. If I were to move back I would look for work teaching initially but also on a field start growing things (I did sell things in the market) and then work in IT or something. If you speak English anything is possible. You can do AirBnB sell things on ebay. It’s all nice you’ve mentioned here, however I don’t understand why you’re so extremely focused on the Catholic part of the country. OK it is important, but not as much as you think. Maybe you’ve another impression or another experience I have, but this is what surprised me mostly while reading your blog and comments. Religion is maybe a part of the people life living in the countryside, but not in big cities. Kindness and respect to older people is absolutely not related to religion, it is related to the way we were raised. Most people in Poland were or are in a very good contact with their grandparents, as they were a part of their life while growing up. Not only Catholic people are respectful, it is something you learn at home and not in a church. This is a philosophical issue. When people first depart from religions, for a while society stays in tact because of tradition. Then people start to swap partners on casual dating apps like Tinder, have children out of wedlock, divorce, terminate pregnancies, cheat a little here and there, in the USA people use opiates and children are not the priority rather career and chasing money with non religious people. I have lived too long and traveled and lived in too many places in the world for you to convince me. In contrast my parents are married over 66 years, they are Catholic and I to be trusted. In contrast in Krakow, the non-religious people I knew had all kinds of problems the liberal media would not exalt,like many children being raised in one parent homes. Look at Onet.pl or Interia.pl now days you open it up and its not news its trashy images and nonsense. That is what you get, a Doda or Lady Gaga society eventually with everyone on their mobile phones with not transcendence. If there is no Absolute (God) Stalin and Mother Theresa similar as ethics are relative right? yes there are many hypocrites in religion, but the reason Poland is such a sweet country is they have not departed fully from the their ideals. Dear Mark, this is an excellent blog. I am from Kolkata, India but did my Ph.D. in the UK for four years and have been offered a post-doctoral position at the Jagiellonian University, Krakow. I am very curious and excited about this place due to the history and the landscapes. I have a couple of questions and will be grateful for your response. I will receive 7000 PLN approx. for this job. With this salary how will be the living standard there. Also, my wife will join me soon and she is a software engineer (data scientist). Do you think it will be easier for her to find a job there once she gets the dependent visa. I am a Hindu by religion, are there any temples nearby. The job contract is for 4 years, so I am a bit skeptical before accepting the position. Any advice would be really helpful. 7k Pln is a good income but it is according to what you expect in terms of life. In my opinion you will have everything you need and a pleasant life. However this is by Polish standards, if you equate that to dollars it is only about 1900 dollars a month. Thank you George for your insights. Thank you for this very detailed information. I’m undecided but I have in hands a job proposition to work in Krakow, earning 5000 PLN net. I’m from Portugal and I’m really tempted to go, especially after reading this. Do you think it is a wise move and are 5000 PLN fine for a decent live? It is a nice life depending on the standard you are accustom to. Mark, I just came upon your blog and very much appreciated your description of Poland. I am a second-generation American, born and raised near Pittsburgh Pennsylvania. Your description of Poland describes the way I was raised by my first-generation Polish father and Croation mother: God, family and a solid home life. There is nothing more important than these on this earth. Young people who want to insist that it takes that of the Western culture to live happily can certainly pursue that life. However, if you choose to live a more faith-filled, domestic lifestyle, then by all means, one should pursue it without enduring condescending remarks from others. I will take a home-cooked meal over expensive, and mostly disappointing, restaurant fare any day of the week, and so will the rest of my family. My children, who were adopted from an orphanage in Warsaw 16 years ago, love when we are host to family and friends here in our home. Live and let live! It is my plan in the next year or two to take my children back to their homeland so that they can see where they came from. Never got out of the city the first time there. Want to experience the Tatra Mountains, so enjoyed by our beloved Saint Pope John Paul II. Hi. I am considering taking an expat 2 year assignment in Poland. Can you tell me how my family would fit in? My husband would be a stay at home Dad. We have always lived in the US and do not speak Polish (though my company will provide lessons). We have 4 children ages 4 months – 8 years. We are devote Catholics. So my biggest questions are: if we move to Warsaw is apartment living the only option – seems hard with 4 kids, are there catholic masses in English, are there bigger families in Poland with lots of kid centered activities, is public transportation hard when traveling with kids, is there an English speaking community, are there a lot of outdoor spaces to run and play, are stay at home dads a thing? Yes there are Catholic masses in every city as well as Latin and other languages. One of the best things about being Catholic is it is a universal church and the structure is the same anywhere. If you have a printout of the English readings and Gospels you can follow the rest. There is so much English there you will be wanting to avoid it after a while. let me know how it works out. This summer I will move to Krakow with my family. I have just accepted a job offer there. My question is about the housing. I want to rent a house, maybe a bit out of city, instead of living in a small flat in center. What do you think about that? Is it hard to live in the Winter? I plan to drive my son to the school every morning and get back every afternoon. Winter is fine once you get use to it, you can take trams everywhere or trains. For School, you learn to drive like everywhere else. 1. Is this enough money to live in a place like Lublin? 2. I’m of Orthodox religion and not speaking Polish (often I am mistaken as Russian by Polish ppl), how would people accept me in a small village for example, if we choose not to go to a Catholic Church or raise kids as Catholics? Villages are sometimes more accepting than NYC. They might find you interesting. Every village I know has someone who moved abroad or married to someone from abroad and if they are like me, I have relatives that are Orthodox and Catholic. Orthodox and Catholics have a treaty if the local bishops approve depending of shared communion. It is so close, it does not matter. I think most people are just happy you are Christian as opposed to the world of today that is not. I mean Poles love to go to Greece for vacation and live there, no one cares. Religion is about your choice. So I hope you will enjoy Poland, that is a lot of money by the way. Thank you for this informative article. However, due to the very Christian culture, I was wondering how single parents and unwed, single mothers are treated by the locals? And are people who move to Poland but are not Christian or religious at all treated with equal respect or are they shamed by the locals? Christians have the capacity to be both open-minded or extremely judgmental people. Do you have an impression of how most locals feel about people who live lives that don’t fully reflect Christian values? They are treated like everyone else. I would say being a single parent is harder as you do not have a second half to count on. I do not know how people do it. Christianity is based on acceptance and love. My Catholic church has a banner, ‘All are welcome’ and they mean it. Nice blog, thank you for sharing your thoughts and experiences. I would like to notice one crucial fact though. Poland is NOT Eastern European country as all have pursued it for decades, now. Poland is in Central Europe, indeed. Just in the middle of the continent. Previous PostPrevious Why are Polish wages low?